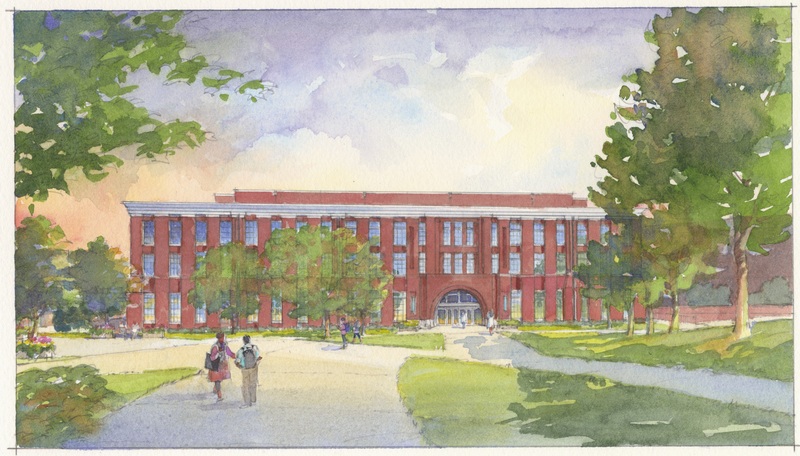 The University of Georgia will break ground on the new Interdisciplinary Science, Technology, Engineering and Math Research Building at 2 p.m. on Nov. 27. The groundbreaking marks the beginning of the construction of the ISTEM Research Building, which will house engineering, chemistry and related disciplines to promote collaborations between students, faculty and researchers. The $65 million facility is made possible by $39.4 million in state support. It is strategically located on UGA’s South Campus near other buildings that house STEM researchers and will promote interdisciplinary research to address the needs of industry and government agencies. It will also enhance the state of Georgia’s economic development. The facility will expand laboratories for chemistry, engineering and other material sciences, offer undergraduate research opportunities and expose graduate students to projects with real-world relevance. The facility is expected to be completed by the summer of 2021.